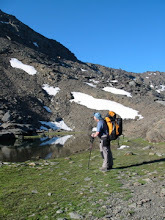 as well as the usual fun in the Rio Monachil and a stroll up to the Poqueira Refuge (2500m) for lunch. The only downside was having my wallet with passport and bank cards stolen at Malaga Airport. Wasn’t watching my hand baggage whilst loading the hire car. Apparently this type of crime is common in the underground car park at Malaga airport as there is no cctv there. BEWARE! Departing Lanjaron 9am returning around 6pm. An ascent of Alcazaba 3369m 3rd highest peak in the Sierra Nevada. A long hard day, departing Lanjaron 7am returning late. Pick up in Capileira at 7.45 am. An Ascent of Mulhacen 3479m, the highest mountain in mainland Spain. A long hard day, departing Lanjaron 7am returning late. Pick up in Capileira at 7.45 am. “Excitement in the Rio Monachil”. A good days walk involving several rope bridges and narrow canyons. Departing Lanjaron 9.30am returning around 5pm. An ascent of Pico del Caballo 3011m. Europe’s most westerly 3000m peak. Departing Lanjaron 8am returning around 6pm. Cost for all excursions is €40. Price includes the qualified guide and transport. You will need to wear good walking boots and clothing suitable for the high mountains. Bring a picnic lunch, plenty to drink and warm clothing to withstand high winds and possible rain or snow. All excursions depart from outside Lanjaron’s Tourist Information Office. Excursions to Mulhacen and Alcazaba can include a pick up in Capileira by appointment. Please note, safety is paramount. If weather conditions deteriorate whilst on the mountain then we will have to shorten or even abandon the itinerary. No money will be refunded once the excursion has started. Julian Alps, Slovenia, a set on Flickr. Some of our photo's from recent trips to Slovenia. 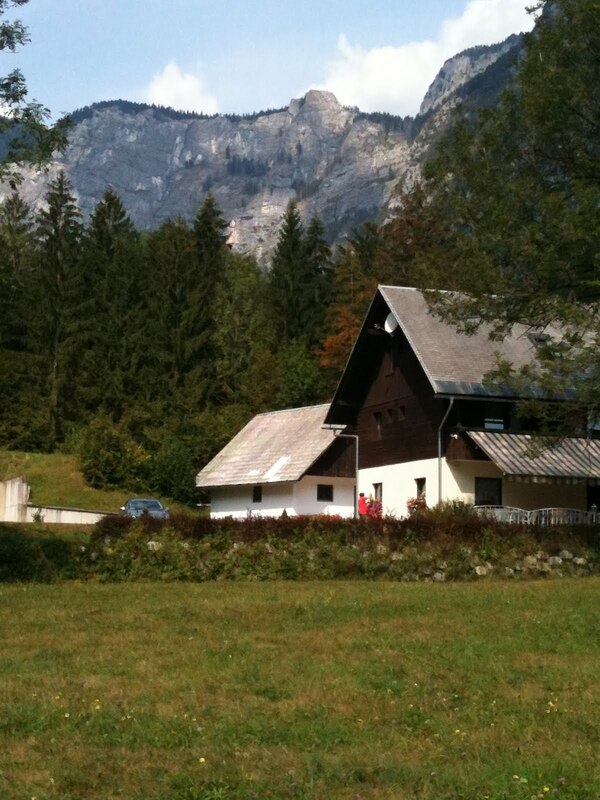 Mid August saw the intrepid Mountain House team taking off for our second trip to Slovenia. This time we headed north of Triglav, using the stunning Vrata valley as our base. Our evenings were spent gazing at the north wall of Triglav, as the setting sun turned the rock red. We also managed some great and adventurous walking ahead of Jane's IML summer assessment the following week. Highlights of the trip included; beautiful and varied mountain scenery, exposed, but well protected mountain paths, scrambling behind the pericnik waterfall, too many gentians to really appreciate, being told by the ladies at the Aljazev Dom that we were their best guests, finding the Pension Stare at Bohinj, and of course last but by no means least, Jane passing the IML summer assessment!